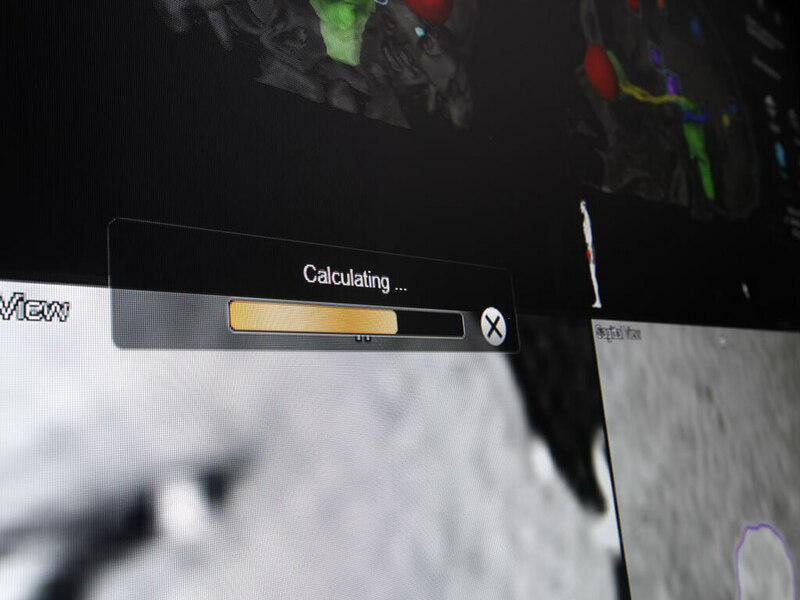 Brainlab software consistently and rapidly generates plans for the efficient treatment of multiple metastases. 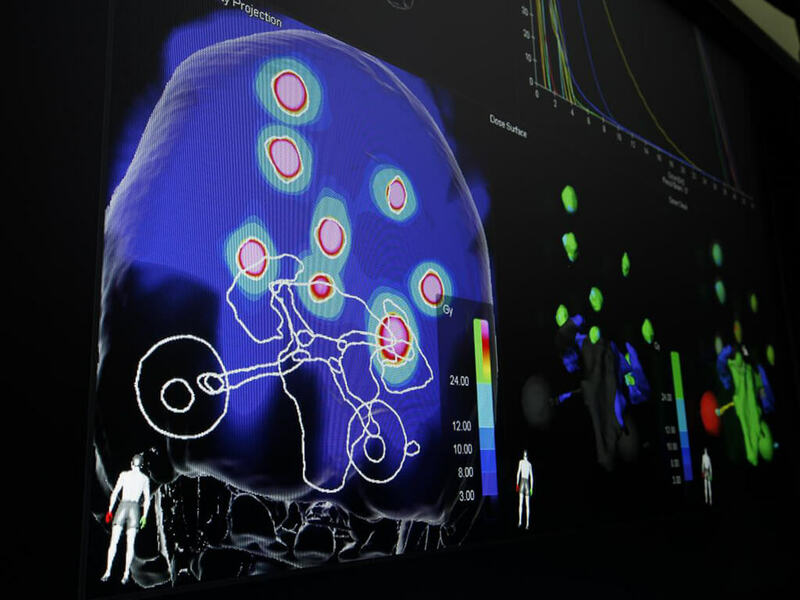 The software automatically creates a volumetrically optimized radiosurgery plan in a matter of minutes after all metastases have been outlined, allowing the clinical user to focus on reviewing and approving the plan. 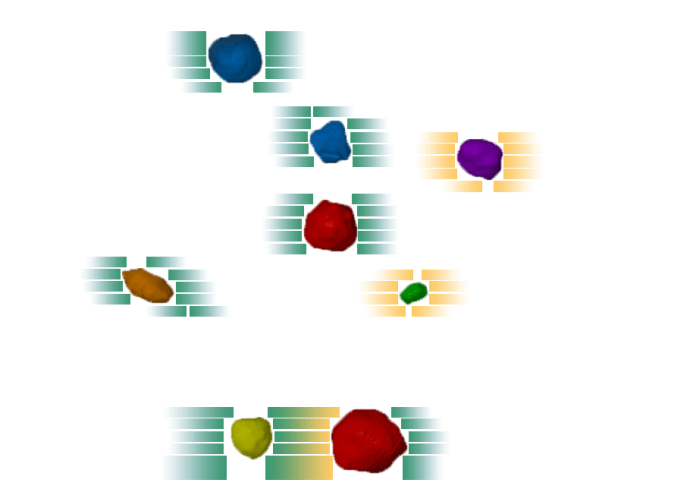 Elements Multiple Brain Mets SRS has a patented algorithm that uses up to 10 arcs at five table positions. Each arc automatically delivers a dose to a sub group of metastases, if two metastases line up in the direction of the leaf motion, the software adds another arc in the reverse direction, treating the second metastases in line. This concept leads to optimized conformal treatments combined with low dose spread to the rest of the brain. Current treatment patterns offer radiosurgery only for patients with one metastasis. For multiple metastases, time increases at the same rate as the number of targets. Elements Multiple Brain Mets SRS software enables ‘monitor-unit’ and time-efficient treatment while minimizing dose to healthy tissue. Treatment delivery and planning time can be reduced drastically, even for multiple metastatic tumors in the brain. Elements Multiple Brain Mets SRS offers clinicians the possibility for hypo-fractionated treatments. 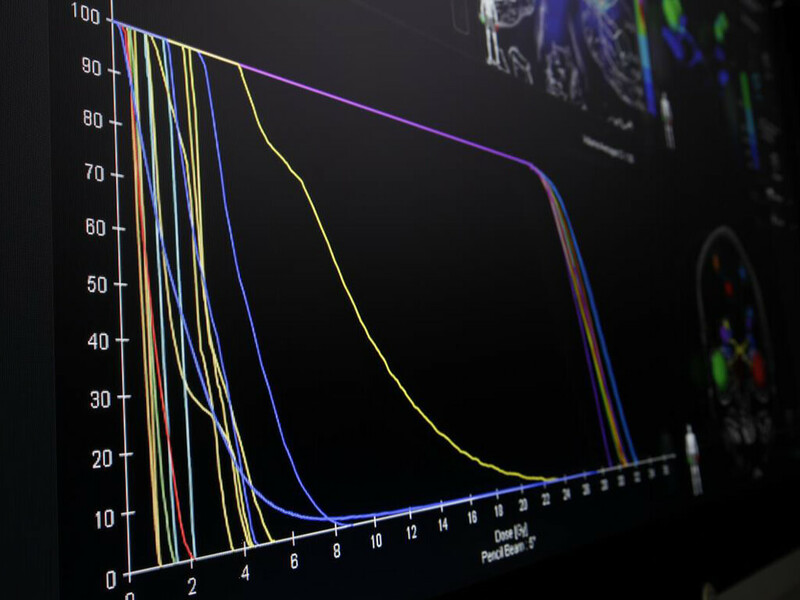 Current practice patterns call for lowering the single fraction treatment dose when treating large metastases or the combined volume of all metastases. 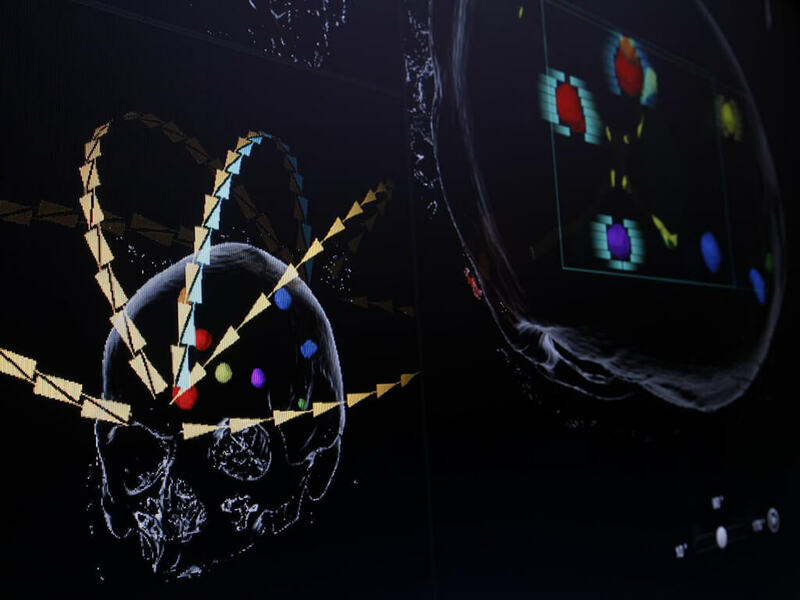 The software enables efficient radiosurgery planning and delivery while minimizing dose to normal tissue and offering new, practical possibilities for larger volumes and higher number of metastases, even for hypo-fractionated treatments. Challenges appear for patient positioning as the detrimental effects of remaining rotations are magnified when the isocenter shifts are outside the volume of the lesion. The single isocenter approach of the software speeds up treatment delivery by setting up to five couch angles during treatment. 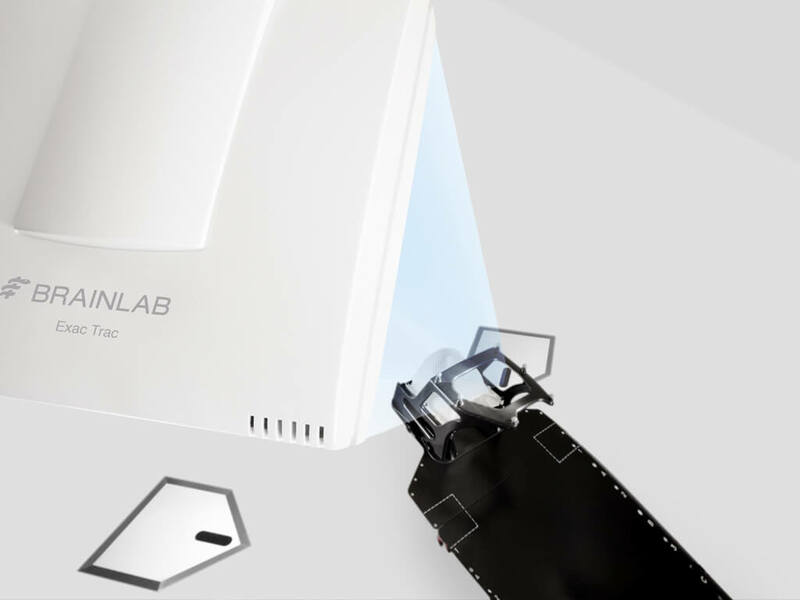 Brainlab ExacTrac® robotic alignment is therefore essential for treatments of multiple metastases.